Over in Katavi last week we were running a beekeeping workshop for twenty two local beekeepers, to boost their knowledge and skills, and enable them to engage in more productive and sustainable beekeeping practices. 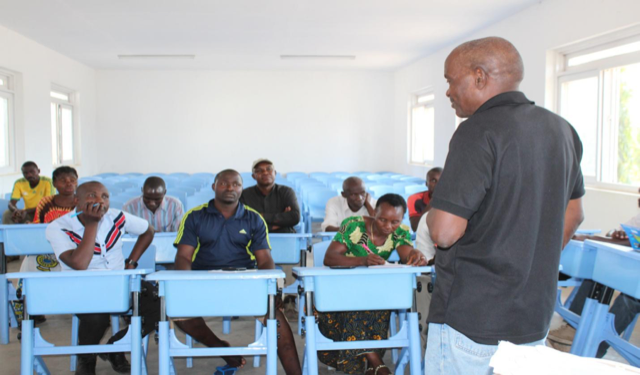 David Camara, an apiary expert from Dar es Salaam, came to conduct the four-day workshop. Hosted at our Chada Katavi camp, he also had some special Nomad treatment in-between his village training days. The training was targeted at already established local beekeeping groups and others wanting to start beekeeping. The ten topics covered were 'The importance of beekeeping (with regard to environmental conservation); Pollination; Beekeeping systems; Beekeeping equipment; Making beekeeping equipment’s; Apiary management; Quality honey harvesting; Honey processing and packaging; Bees calendar; and Persevering forests for apiary farming’. As well as theory in the classroom, the days were full of practical training and site visits to really assess the area and make sure the knowledge was specific to the local environment. Traditionally people in the area practising beekeeping, resort to basic hive construction using matials found in their surrounding environment. Bark is striped off trees to be make the body of a hive. Although beekeeping is environmentally-friendly, these type of hives are not. 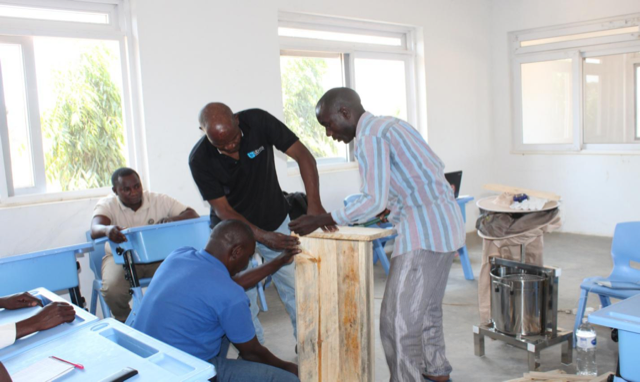 So another key focus of the training was how to practice sustainable beekeeping and the beneficiaries were taught how to make environmentally-friendly hives. We even had two carpenters demonstrating how to make ‘top bar’ beehives. Overall the workshop was a huge success, and another example of Nomad Trust works together with their local conservation partners (in this case LCMO), to support neighbouring communities with practical skills, training, and capacity building opportunities. 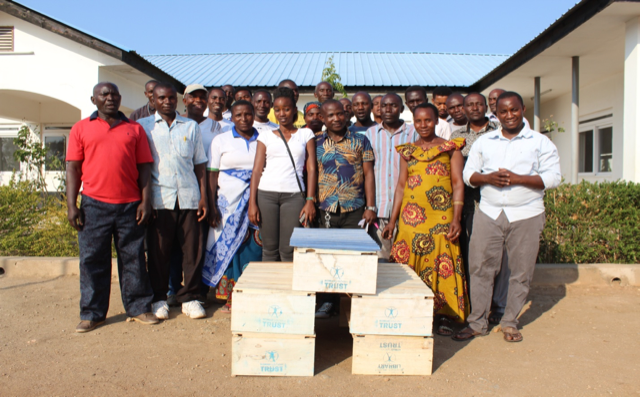 To compliment the training, we also purchased and donated honey harvesting kits and equipment for these local beekeeping groups. These will be used on a shared basis for the benefit of the whole community, kept with our local conservation partners (LCMO) and freely available to sign in and out when any beekeepers are in need of the honey harvesting equipment. As well as learning all the techniques, and receiving some start-up equipment, the trainer David also talked about what happens post harvest, and how to package and market their products. David will monitor this group for a year and help with markets for their products, linking them with wider beekeeping networks and established markets. 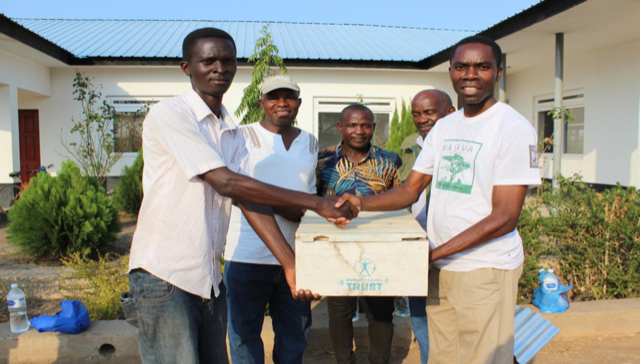 Finally, five modern ’top bar’ beehives were donated to the beekeeping groups who took part in the training and are supported by Nomad Trust and LCMO. We are really keen to check in with them over the next few months as they put their new skills and equipment to use.